Makuma Lat: -2.15, Long: -77.69 / MMI IV (Light shaking): Light shaking for just a couple seconds, then hard shaking for a few more. The shaking then continued for another 15 seconds. Some things in the kitchen tipped over. 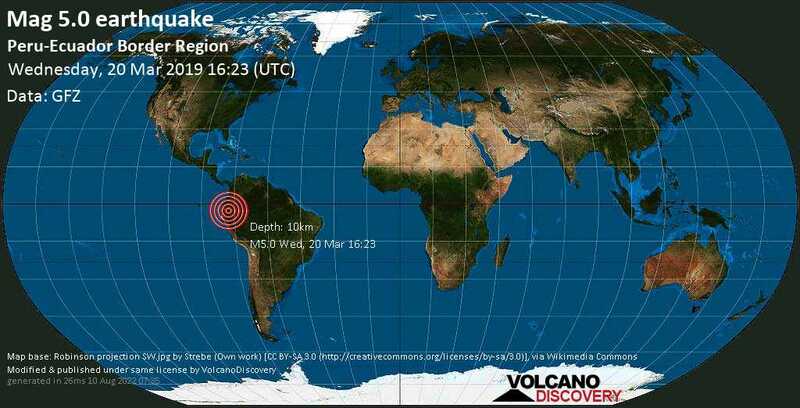 Tena, Ecuador (212.2 km N from epicenter) [Map] / MMI IV (Light shaking): Light shaking for 3 or 4 seconds. Lamps swayed but mainly felt through the wooden floor boards.